WOOF&BREW’s healthy, herbal blends (for dogs) are a complimentary pet food, created & blended to support your dog’s specific needs. The blends are veterinary approved as safe & the herbs used are left intact, rather than ground, to provide optimum nutritional benefits. Bursting with antioxidants, vitamins & minerals. Woof & Brew are so confident you will see an improvement they offer a 100% Money Back Guarantee! ‘Dog breath’ is such a renowned phenomenon that we tend to assume our canine friends are naturally prone to halitosis. Not so. This fresh breath tonic is designed to benefit oral health & digestive systems & allow dogs to be free to breathe up close! Helping detoxify & cleanse, as well as providing a nutritional aid for pigmentation. Also rich in iron, iodine, fatty acids, vitamins, minerals & antioxidants, it supports your dog’s skin & coat, keeping it in tip top condition & making it worthy of ‘Best In Show’. Composition: Burdock, Dandelion, Flax, Nettle, Seaweed & Rooibos. Provides naturally calming & settling qualities everyday & before stressful times such as fireworks or car journeys. Supports both the mental & physical well-being. Composition: Rose petals, Lavender, Devils Claw, Orange Flowers, Skullcap, Astragalus & Lime Flower. Designed to help towards promoting & maintaining a balanced digestive tract, appetite & bodyweight. Also helps with sensitive stomachs. Composition: Astragalus, Fenugreek, Ginseng, Lime Flower & Rooibos. Formulated to reduce burn patches and unlike many other lawn care products on the market, this tried & tested blend has been specially formulated to benefit dogs as well as lawns. 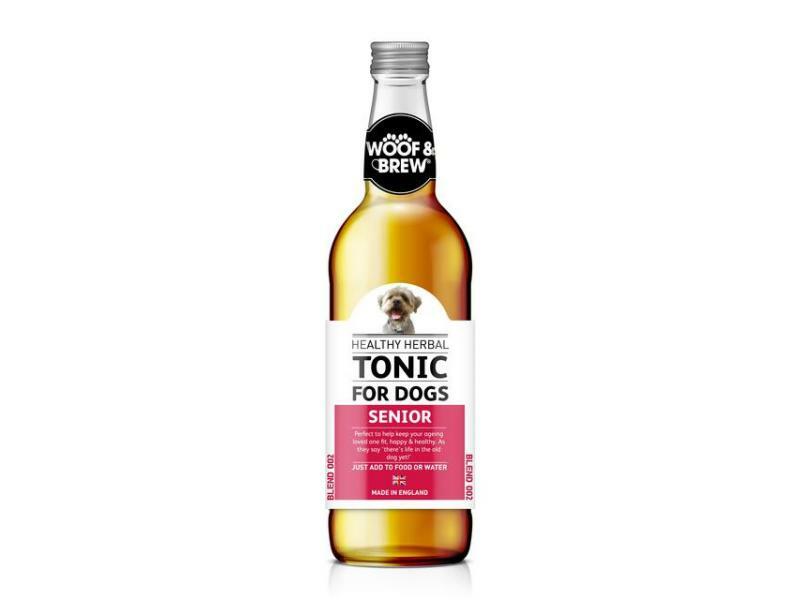 Packed full of anti-oxidants, vitamins & minerals, it contains cleansing & purifying properties - particularly good for urinary systems, and helps to neutralise the alkalinity of dog’s urine. 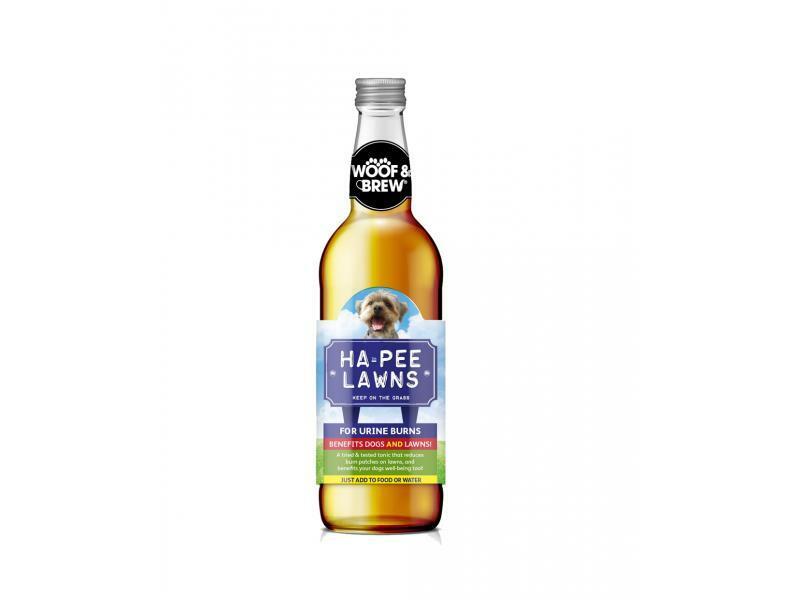 This unique blend will have dogs & lawns living together ha-peely ever after! Tried and tested blends – 8/10 saw results within just 3 weeks! 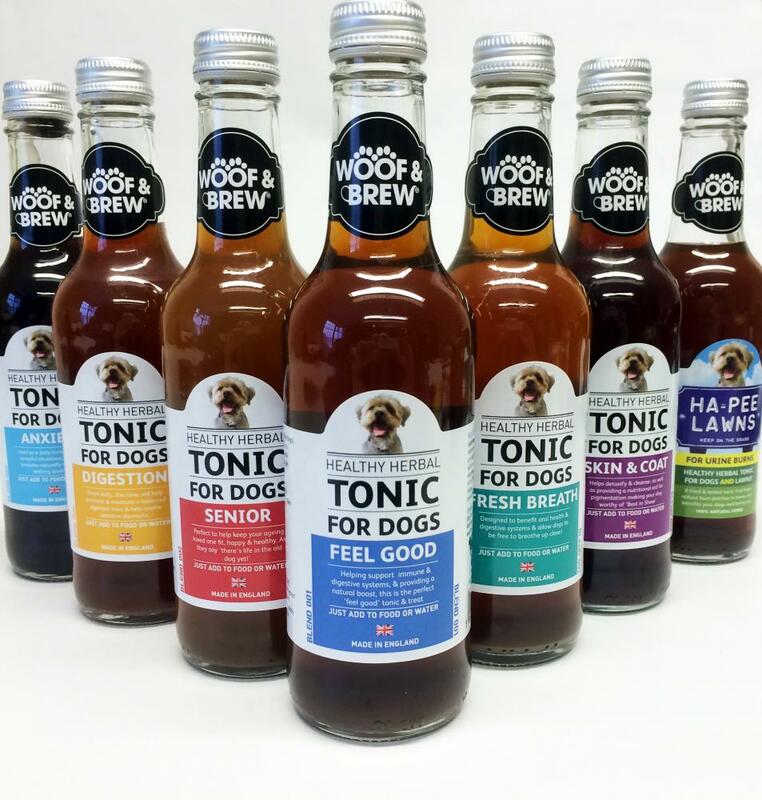 WOOF&BREW’s ready-made tonics can be served straight into your dog’s water bowl or over their food. Just add the required capfuls shown below. 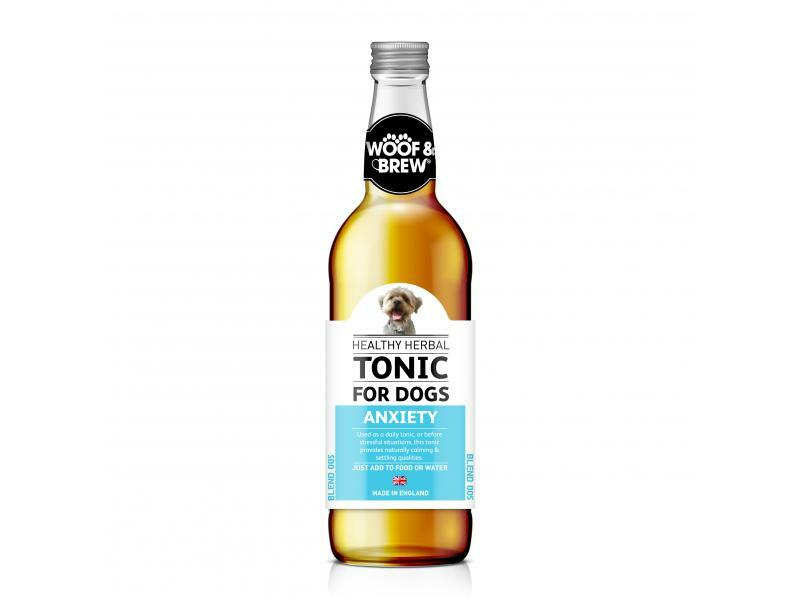 Below are some recent questions we've received regarding Woof & Brew Healthy Herbal Tonics, including answers from our team. As your dog has allergies, I would advise consulting your vet before giving this to her. I'm sure it would be perfectly fine and would be a beneficial addition to the diet, but it is best to check first.